Professional Carpet Cleaning is essential in order to keep your carpets in top condition. Carpets become dirty and hold dust and pollen, Using DIY machines and products can cause harm. Altrincham Cleaning Services will ensure your carpets are keeping your home and family healthy. Upholstery Cleaning is often difficult and attempts to clean upholstery yourself could end in disaster! Altrincham Cleaning Services are fully trained in identifying all types of upholstery and choosing the best method for cleaning. Leather Cleaning is a task best tackled by the professionals. Altrincham Cleaning Services are trained in Cleaning all types of Leather. Many DIY methods of “cleaning” will cause irreparable damage and cost you more in the long run. Carpets often become damaged in small areas by burns, staining or bleaching. We can repair areas of carpet, retuft small areas and even colour repair areas that are damaged by bleaching or colour loss. Rug Cleaning or Washing is a process that require specialist equipment and facilities. We work closely with Cheshire Rug Cleaning who will collect the rug and return it to you clean, fresh and dry. Curtains and drapes can be difficult to take down and put back again. They become dusty and full of soil over time. We can clean and refresh your curtains in situ. Curtains are cleaned and dry within a few hours without the risk of shrinkage or misfitting. Often know as Scotchguard. Carpet & Upholstery protection is a great way to keep your homes in great condition. It is recommended that protection is done after a professional Carpet Clean. Carpet protection not only buys you time to mop up water/oil based spills but also helps to release dry soil build up in carpets. We also a offer a Ceramic, Stone and Hard floor cleaning and sealing service. Before we leave why not have all of the floors in your house looking as good as your carpets. "Altrincham Cleaning Services are Proud Members of The National Carpet Cleaners Association, Woolsafe Approved Service Providers and Fibre Care Specialists"
Altrincham Cleaning Services is a family run, experienced and professional specialist carpet and Upholstery cleaners and Fibre care specialist. We specialise in Carpet, Upholstery and fine fabric Cleaning. Altrincham Cleaning Services provide a professional domestic and commercial specialised cleaning service. We pride ourselves in our professionalism and knowledge of the cleaning industry the chemicals we use and the materials we work with. We like to keep up to date and training and regulations and our standards are always as high as possible. 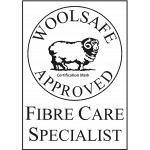 Altrincham Cleaning Services are Proud Members of The National Carpet Cleaners Association, Woolsafe Approved Service Providers and Fibre Care Specialists. You can rest assured that we are fully insured, vetted and professionally trained. You can rely on the quality of our work and that as a customer you will receive a truly unrivalled service by a highly trained and knowledgeable technician. Altrincham Cleaning Services are Carpet, Upholstery and Rug Cleaning Specialists Our vans are equipped with some of the best cleaning equipment available. Where access is possible we will use high powered, truck mounted equipment reducing noise, mess and the amount of time we have to spend in your home. Where access is tight or too far away from the road/driveway, we use a high powered portable unit to achieve the best results. We work with both domestic and commercial customers for Carpets & Upholstery, with some of our customers including Bannatyne's Spa and Leisure, Oman Air, Vita Student & numerous schools, nurseries and care homes. We are highly professional, fully trained and have a wealth of knowledge and experience to draw from. Don’t need to look anywhere else! Customer Service Quality Value I am so happy with the work I have had done, Lovely personal services and will go above and beyond for you, I cant explain how much this company has helped making the move out of my rented apartment go so much smoother, could not fault the carpets were spotless even down to the few oily marks I had! I couldn’t recommend highly enough! Simon did a fantastic job on my sofa and oven. They came up spotless and like new. Hard working and reliable… I’ll be getting my carpets cleaned next! Probably the best carpet cleaning service in the Altrincham area Customer Service Quality Value I have used Altrincham cleaning services to clean carpets on 3 occasions. The first time was as a result of winning a raffle prize to support McMillan Nurses but I was so thrilled that I was happy to pay for further carpets to be cleaned. Simon the owner performed a wonderful service, from confirming his time of arrival to removing stains which my disabled husband had left. I have no hesitation in recommending Altrincham cleaning services for any of your carpet cleaning no matter how bad the stains.